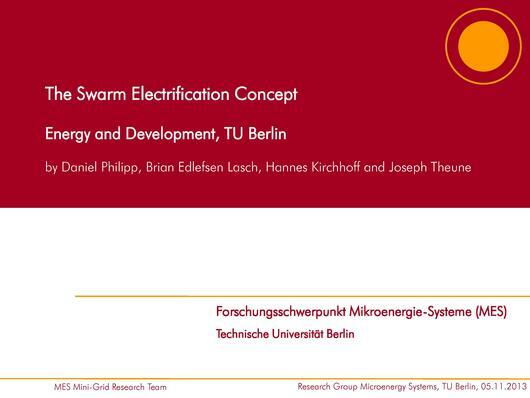 English: Presentation of the Swarm Electricity Concept at the lecture series "Energy in Development", organized by the postgraduate program "Microenergy Systems" at the Technical University of Berlin in 2013/14. This page was last modified on 26 November 2013, at 15:38. This page has been accessed 5,136 times.